The Government of Ontario recently announced a funding program for projects that can be shown to be carbon negative. Called Ontario’s Solutions 2030, the program is a global call for innovators to propose their solutions to help Ontario industry reduce GHG emissions. With up to $7 million in funding, including up to $3 million in support for the winning team to bring their transformative technology to market, the challenge asks teams and industry to collaborate and envision a path forward to tackle climate change in Ontario and around the world. To guidelines for the challenge can be found at the Ontario Solutions 2030 website. Phase 1 of the challenge will be evaluated on the concept and description of a team’s proposed technology and plan to market. To participate in Phase 1, the technology should be proven and the team should have a vision for large-scale implementation of their technology in Ontario by 2030. The top eight teams will be invited to proceed to Phase 2 and will be awarded up to $250,000 each to support costs related to their participation. Phase 2 of the challenge will require teams to build a lab-scale technology prototype in a controlled environment and will be evaluated based on prototype performance and the team’s vision to scale their technology to reduce GHG emissions by Ontario industry by 2030. The top four teams from Phase 2 will be invited to participate in Phase 3 and will be awarded up to $750,000 each to support costs related to their participation. Phase 2 will launch in January 2018. Sign up to receive updates on the challenge. Phase 3 of the challenge will require teams to demonstrate their technology in partnership with an organization that has an industrial or manufacturing presence in Ontario. The grand prize will be awarded based on technology performance and the team’s technology commercialization plan. The top team from Phase 3 will be awarded up to $2 million to support costs related to technology commercialization in Ontario. The winner is expected to use this funding to create a business presence in Ontario. Phase 3 will launch Spring 2019. Sign up to receive updates on the challenge. The Hidden Lane Superfund Site was formerly a landfill that accepted construction and demolition (C&D) debris, land clearing wastes and other materials. A recently announced U.S. federal court settlement between Persimmon Lane LLC and the Commonwealth of Virginia and the U.S. Environmental Protection Agency, will help fund the cleanup of the Hidden Lane Superfund Site, and encourage the reuse of the 150-acre property in Sterling, Loudon County, Va. The agreement, filed in federal court in Richmond, requires Persimmon Lane to reimburse the federal and state governments for cleanup costs with proceeds from the future sale of the property. Persimmon Lane LLC, was established by the estate of the former property owner, to facilitate the sale or transfer of the property. 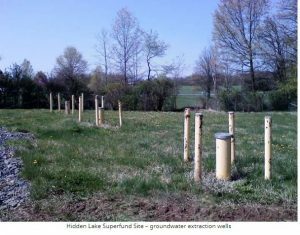 The former waste disposal landfill, located north of Virginia Route 7 and adjacent to the Potomac River, was added to the U.S. EPA’s Superfund list of the nation’s most contaminated sites in 2008. Beginning in 1971, the private landfill accepted a variety of wastes including construction and demolition wastes, land clearing wastes and other items. Loudon County closed the facility in 1984 pursuant to a state court order after testing of groundwater and drinking wells revealed the presence of several landfill-related contaminants including a common degreasing solvent trichloroethylene (TCE). As part of the settlement, Persimmon Lane must make good faith efforts to generate proceeds from the transfer of the property for potential development and/or wetlands mitigation credits, which can be used by purchasers to compensate for the impact of lost wetlands on other locations. Persimmon Lane must then pay a portion of those proceeds to EPA and Virginia to cover cleanup costs. The agreement settles a case filed under the federal “Superfund” law — formally known as the Comprehensive Environmental Responsibility, Compensation, and Liability Act (CERCLA) — which requires landowners, waste generators and waste transporters responsible for site contamination to either clean up the site, or reimburse the government or other parties for cleanup costs. As reported in the Globe and Mail, the federal government recently introduced legislation that would bar most oil tankers from operating along the coast of northern B.C., fulfilling an election pledge by Prime Minister Justin Trudeau and formalizing a moratorium Ottawa announced last year. 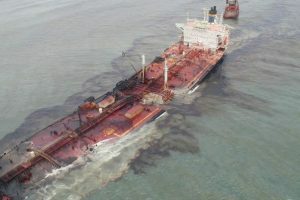 Although environmental activists welcomed the news, others voiced disagreement with the proposed legislation saying Canada already has legislation that protects the environment and that a tanker ban could hinder economic development in the region. “We had really hoped the government would embark on a more comprehensive planning process and actually look at what risks they were trying to address,” said Robert Lewis-Manning, president of the Vancouver-based Chamber of Shipping. The proposed legislation – because it is not evidence-based – flies in the face of the federal government’s Oceans Protection Plan, Mr. Lewis-Manning maintained. That plan, a $1.5-billion initiative announced in November of 2016, is billed as a national strategy to create “world-leading marine-safety system” that will protect jobs and the environment. Mr. Lewis-Manning also raised trade-related concerns, saying the proposed legislation could discourage companies from stopping at B.C. ports if, for example, they are carrying more of a certain product than the maximum set out in the legislation. “Right now, when we are feeling a lot of pressure from the U.S. … anything that makes Canada look less competitive to outside companies or investors is something that we are very concerned about,” he said. 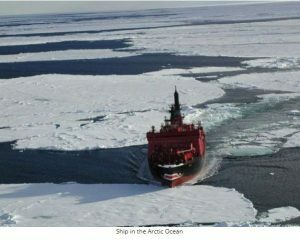 Tankers carrying less than 12,500 metric tonnes of oil are exempt from the proposed law, to ensure northern communities can continue to receive shipments of necessary fuels. Maximum fines range up to $5-million. In announcing the bill, the government said it proposes “flexibility” for amendments, saying that refined-petroleum products could be added or removed from the list based on science and environmental safety. The proposed legislation has the potential to “hold back an economic engine that drives Canada, Alberta, B.C. and provides values to communities,” said Isaac Laboucan-Avirom, chief of Woodland Cree First Nation in Alberta. Mr. Laboucan-Avirom is part of the Chief’s Council with Eagle Spirit Energy, a group that has proposed building an “energy corridor” between Alberta and B.C. that would involve refining crude oil in Alberta or B.C. and then sending it by pipeline to the B.C. coast for shipping to export markets. In a statement, the Chief’s Council for Eagle Spirit said it was disappointed with the proposed legislation, saying there was insufficient consultation before it was announced. There has been a voluntary tanker-exclusion zone on the coast since 1985. The proposed legislation will prohibit oil tankers carrying crude oil from stopping, loading or unloading at ports in northern B.C. in a zone that stretches from the Canada-U.S. border in the north to the northern tip of Vancouver Island and includes Haida Gwaii. 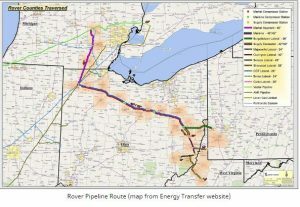 As reported by EcoWatch, the construction of Energy Transfer Partners’ new Rover Pipeline through Ohio only began mid-February but the project has already resulted in 18 incidents involving mud spills from drilling, stormwater pollution and open burning that violated the U.S. Clean Air Act. The Dallas-based company, which is also the operator of the controversial Dakota Access Pipeline, has been fined $431,000 by the Ohio Environmental Protection Agency (EPA) for water and air pollution violations across various sites in Ohio. As The Columbus Dispatch reported, the incidents occurred from late March up to Monday’s 200-gallon release of mud in Harrison County. The largest discharge leaked millions of gallons of bentonite mud, a drilling lubricant, into a protected wetland in April. As far as Energy Transfer’s response, Butler said the company has been “dismissive,” “exceptionally disappointing” and unlike any other response he has seen. According to Butler, the company claimed that the state EPA lacks the authority to interfere with the Rover project. Butler said he arranged a meeting with Energy Transfer Partners executives to say “how upset Ohio was” and to arrange new response plans. However, the company said it would continue to operate and has not yet paid any of its fines. 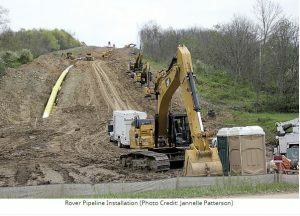 “We do not believe that there will be any impact to the environment,” she said, adding that the company is managing the Rover Pipeline situation in accordance with its federal- and state-approved contingency plan.